Vulto Creamery is located in Walton, a small town in the western Catskills of New York where it produces a variety of handmade cheese in small batches, using raw milk of the highest quality, obtained from local dairy farmers. The creamery was started by Jos Vulto, once called Brooklyn's "favorite urban cheesemaker". Jos had been making cheese in his apartment for about 5 years, aging it under the Brooklyn sidewalk. 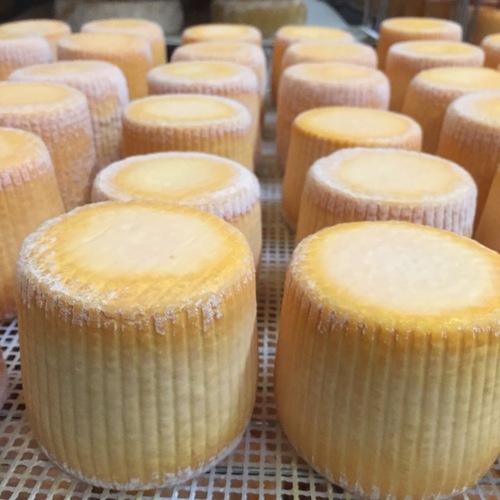 He had never set out to become a cheese maker but after half a year of experimenting and favorable reception of some of his creations, he started to explore the possibility of starting a creamery. He had been coming to Walton for several years where he and his wife owned a seasonal getaway. Being a very rural area with plenty of dairy farms, it was the perfect place to produce cheese. He started construction of the creamery in 2010 and after some tragic delays, finally produced the first legal batch in 2012.